Phyllis Tickle, Phyllis Tickle: Essential Spiritual Writings. Church Publishing, 2018. Phyllis Tickle was a prolific writer, amazing lecturer, rarely speaking from notes, and founding religion editor for Publishers Weekly as well as a great mentor and friend. My thank you to her would be to attempt to continue the kindness and encouragement she showed to me. She may be remembered for her analysis of The Emergent Christian Church, but I most treasure her Divine Hours, a series of books of observance of the fixed-hour of prayer for spring, summer, fall, and winter. I know she not only wrote about it, she practiced it. I remember seeing her slipping away at meetings for a few minutes to pray at one of the fixed hours of morning, midday, vespers, or compline. Phyllis’ books allow us to follow a fixed time of prayer no matter where we are in time or place. She brought back an ancient rule of life to modern times and reminded us how this would change our lives, teaching that we would never be the same after experiencing the practice. I am not as faithful as Phyllis, but instead practice the fixed hours of prayer at certain seasons of the year, sometimes for only a week or a month, sometimes for a whole season. She also wrote an entire book of fixed prayers for night offices for those who have difficulty sleeping or who work at night, prayers at midnight, night watch, and dawn. Phyllis has written prayer books for Christmastide, Eastertide, as well as a convenient pocket edition of The Fixed Hours. There can be no more trusted or beloved friend to keep close by or carry with you during the day or night or during the earth seasons of the year than Phyllis Tickle. 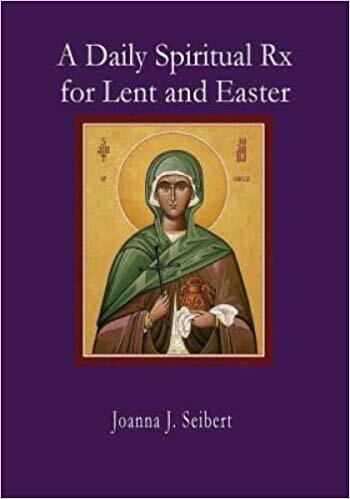 Purchase a copy of A Daily Spiritual Rx for Lent and Easter from joannaseibert@me.com or from Wordsworth Books in Little Rock or from Amazon. Proceeds from the book go for hurricane relief in the Diocese of the central Gulf Coast.